This time I was much more calm and prepared. Okay, I don't know about calm, but definitely more prepared! While the ideas for this cake definitely evolved in my head over the last couple of months, I ended up solidifying my design by making a few sketches and picking my favorite. 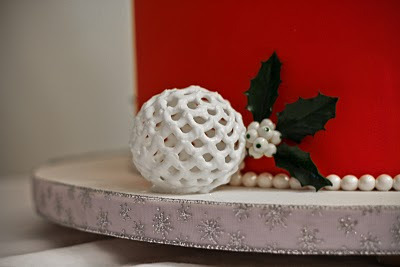 Anyway, I based the little 1" lace points on an Earlene Moore pattern which I modified to meet the holly/ holiday theme. 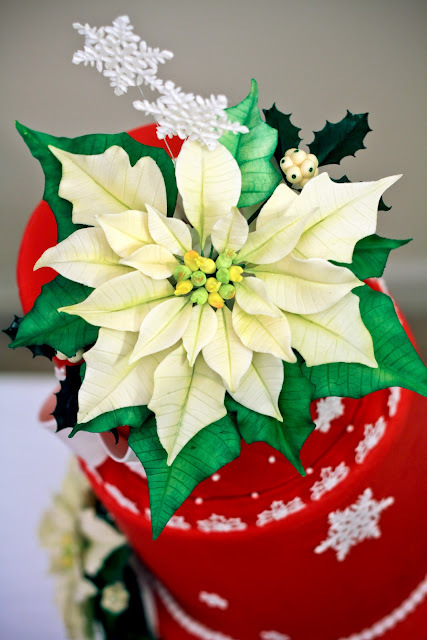 As for the gum paste poinsettias (which you can see in my previous post)-- well, when I realized they were just over 8" in diameter, I figured I'd better make over-sized cake tiers so that they didn't swallow the cake whole. That means I baked 12 cakes (15 if you count the batch I screwed up) to make 5.5" tall tiers (standard height is generally 4"). My flavors this time were chocolate cake with dark chocolate peppermint ganache and butter cake with rum syrup and eggnog filling. Now, normally I'm a chocolate person, like seriously. When eating a non-chocolate cake I often find myself thinking 'this is good except that it's not chocolate.' The exception was that butter cake with the eggnog filling. These were some tall cakes! 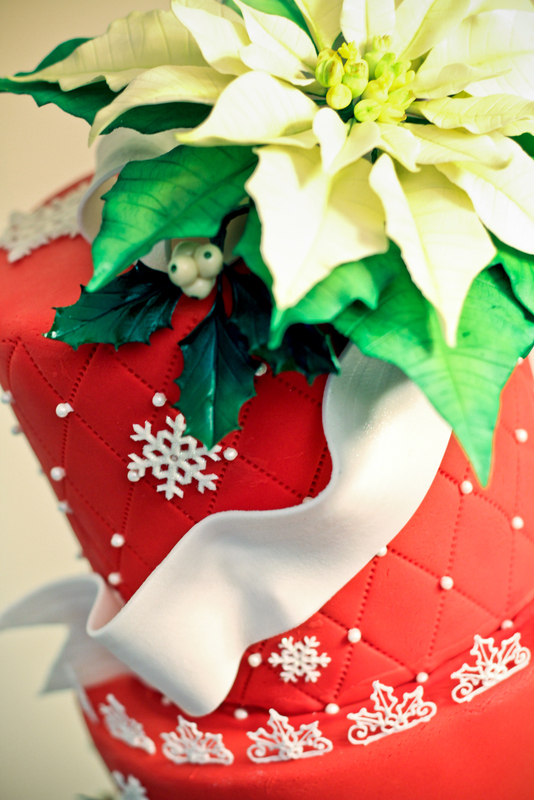 I covered the cake in red Satin Ice fondant. It wasn't terribly cooperative. Normally I have very little trouble with white Satin Ice, but the red coloring dries out the fondant and my apartment was pretty cold and dry when i was trying to roll it out. I couldn't get it as thin as I normally do, but I ultimately prevailed. 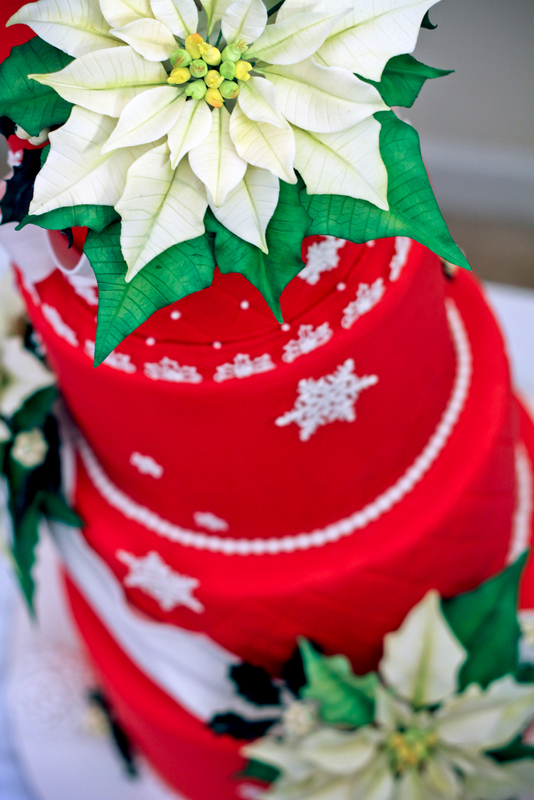 All of the details were either fondant, gum paste or royal icing. That round ornament is royal icing. :) The pearls were all fondant. Oh by the way, do you love that ribbon around the board as much as I do? The snowflakes were gum paste, and the fabric/ ribbon swags were a fondant and gum paste blend. So, the competition. I did a lot more things right this time. First, I finished my cake at about 1:30 AM and managed to get a full night's sleep. In the morning, I had time to eat breakfast and get packed before Prem came to take pictures. I had a full entourage of friends with me, and we packed some wraps so that I'd have something to eat after I set up. AND my friend with an SUV was able to drive the cake over. Score. I had the whole cake set up at home for pictures and it traveled perfectly. All I had to do was un-box it, orient it, and check it when I got there. No repairs or additional set up was required. *phew* So I set up and ate some lunch. So, in this competition they judge on originality, neatness, and taste (supposedly). The unfortunate thing is there's no published rubric or score sheet, nor do you receive such a sheet after being judged. While most cake decorating competitions are not scored on taste and have a more obvious scoring rubric, I think it's important to remember the Earlene Moore school of thought on competition: Never enter a competition expecting to win. I was proud of my entry and saw some great cakes and learned some stuff in the process, so that's great. Finally, I'd like to thank all my friends who came out and supported me yesterday. You guys are the best! Aw, I'm bummed you didn't place. This is such a gorgeous cake! It looks so polished and professional... Just WOW! Nice work with the swags and flowers. 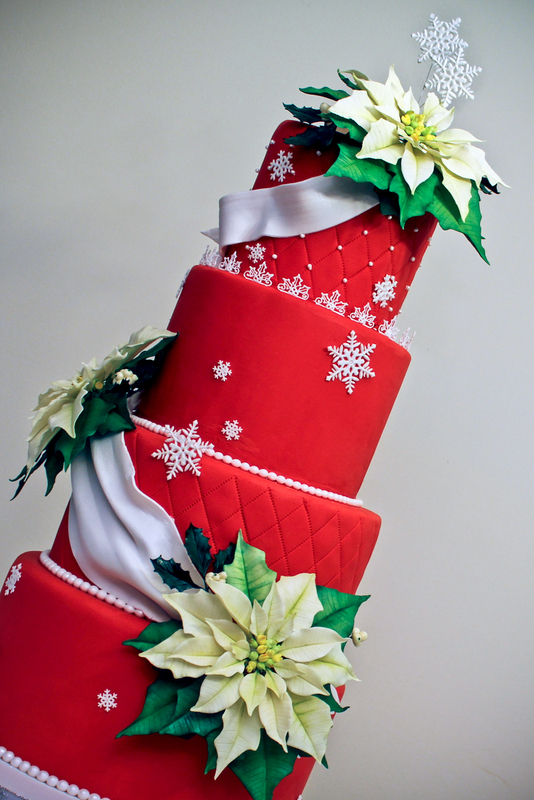 That royal icing ornament is mind-boggling and beautiful. Does the technique involve a balloon? Hah! I don't like mint either (in fact I almost downright loathe it), but I'm too polite to make a face :) However, the butter cake with egg nog filling was so freaking superdelicious that I hardly even noticed the mint in the other cake! Great cake! I'm still baffled that it didn't place! 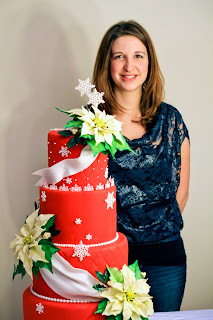 Do you have a mold for the gum paste snowflakes? 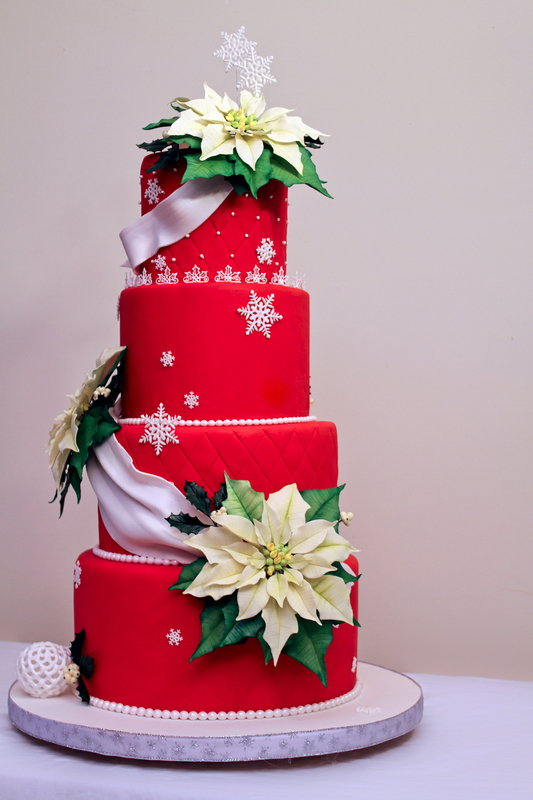 I would love to know how you secured the poinsettias to the cake and how you did the snowflakes and ball ornament. I do have another question but I think I'll email you instead. Thanks again for sharing and congrats on such a beautiful cake! @Whisk-kid-- yes, it does involve a balloon! 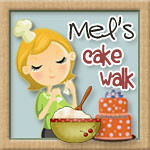 @Mel-- The snowflakes are patchwork cutters, the stars and snowflakes set! Also, i just read your profile and we are sort of in the same boat. I just finished grad school and i am impressed how you are able to manage both decorating and studies. stunning cake you did an awesome job...! !